What do you love about parades? For me, parades are like a moving celebration of some of the happiest and grandest things in life. And no one does them better than Disney Parks! 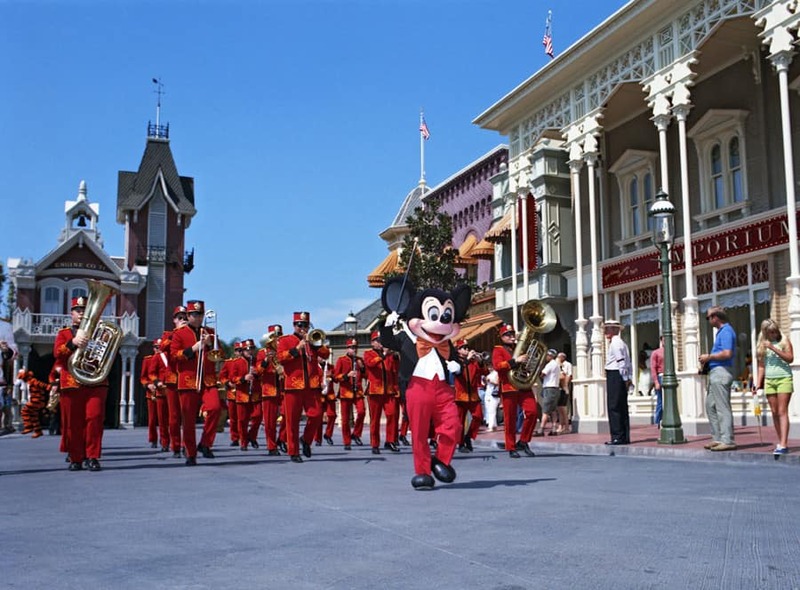 The tradition of having parades at Magic Kingdom Park goes back to when the turnstiles opened October 1, 1971. And as we shared earlier this year, a new procession, Disney’s Festival of Fantasy Parade, will debut in spring 2014 at the park. In the meantime, we’re going to celebrate the parades that have marched so much joy into Magic Kingdom Park over the years: The parades we grew up with, the ones we wish we would’ve been around to see, and the ones with music that just made us smile. This week, we’re taking a look at the very first parade to ever step off at Magic Kingdom Park. 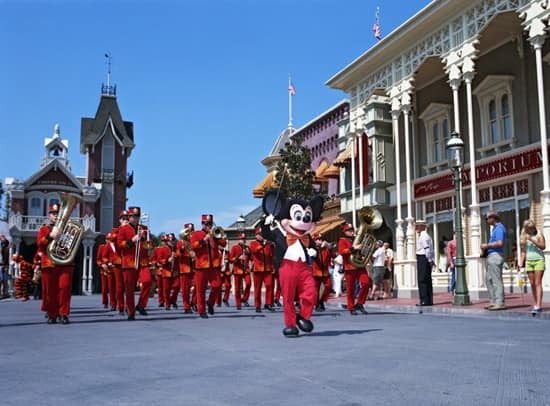 It was called the “Character Parade” and ran from October 1 – December 9, 1971, at 12:30 p.m. and 5:30 p.m., daily. The park’s first parade didn’t feature the huge floats we’re familiar with today, but instead started as a mix of Disney characters, musicians and antique cars. Mickey Mouse kicked off the parade, leading in a red uniformed marching band. The dwarfs from “Snow White and the Seven Dwarfs” followed, carrying balloons. Minnie appeared next, riding in one of the park’s yellow antique cars with the Dapper Dans. Other characters who made an appearance included: Dumbo from “Dumbo”; Walrus from “Alice In Wonderland”; Thumper and Flower from “Bambi”; Baloo and King Louie from “The Jungle Book”; and Big Bad Wolf and the Three Little Pigs. In 1972, the park celebrated “Pooh for President” by adding a patriotic-themed float for Winnie the Pooh, who was followed by his friends Tigger and Eeyore, and a fife and drum corp. The parade was also plussed up for Mother’s Day that year, with characters marching the parade route with special Mother’s Day cards. Which Magic Kingdom Park parade would you love to see featured here? Tell us in the “Comments” section below. My favorite parade theme song was “Welcome to Our Family”. It was playing when I first took my daughters to Disney and has become our personal theme song. The parades have changed several times since then, but for us, we have Walt’s Opening Speech and Welcome to Our Family on our MP3 player blasting in the car on the drive into Disney. It’s a requirement, lol. The song may not be used by Disney now, but Disney and all the CMs always seem to live that song, welcoming us “home” and treating us like family. 43 more days and we’ll be “home” again……. Another vote for the 15 Years parade, please! Ha lol, I love reading the comments about the 15 years parade, for some reason that song has been stuck in my head all these years as well. Hands up, having a party, hands up. 15 years, we’re having a party Walt Disney World….. Love all the parades day and night time, can’t wait to see all the ones you will have featured here! Main Street Electrical Parade was always my favorite. I’d love to see it brought back to Disneyland. Have I missed the Parade recaps for Tuesday and Wednesday?? Mickey Mania was good, Electric Light Parade is amazing, Tapastry of Nations (at Epcot) was moving, 15th Anniversary Parade is vintage Disney with the first real catchy theme! Ohhh and I think the “Castle Float” has been in about all of them. Will be sad to see it go in a few months! Perhaps the most used “Stage” in Disney!! “On this Magic Night a Million Stars will play beside us cast a spell of Light, Glimmering, Shimmering, Carouselling round’ the world tonight a symphony in SpectroMagic Pure Enchantment Lights our way….!!! Not too many parades can compare to a Disney parade, with the exception of maybe the Macy’s Thanksgiving Day and the Rose Parades. Disney always has spectacular parades, but I have to say my all time favorite is still the Main Street Electric Light Parade. It is very nestalgic to me, but the Music, the Lights and the way the characters interact with the audience is second to none. I love how many of the parades change and evolve for the season or to just change up too. The amount of rehearsal and dedication that the performers have to go through and not to mention some not so pleasant weather to perform. I also love the design, technology and music that goes into each parade. The sound system in the parks are the best. I love so many things about parades that I hardly know where to begin. First, I love the anticipation and excitement of huddling up along the route waiting for the parade to start. I’ve met a lot of nice fellow Disney lovers and had many nice chats while waiting for parades to start. 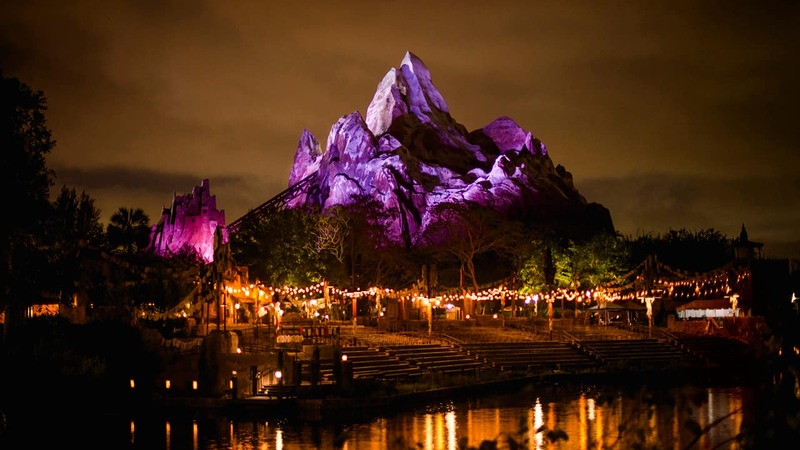 I got some of my best Disney parks tips that way too! Then, when the parade starts I love the music. The parades always begin with this magical harp sound and then some beautiful singing. I love that. Then I see all the floats and they are full of detail and crafstmanship. And the dancers! WOW!, they have some impressive dancers in the parades. My favorite floats are the ones that depict scenes from my favorite movies and I can wave to my favorite characters. I think the best part of all must be when my favorites wave back at me and look right at me and smile. My heart just melts!!! Sounds like you’re a big fan, Patricia! I also enjoy waiting for the parades to start – especially on Main Street, U.S.A.
Out of all of the Magic Kingdom Parades “Spectromagic” is by far my favorite. Even though “Spectromagic” was not a daytime parade I would like to see it featured here. It is hands-down the most magical parade ever. The music and atmosphere really made this parade different from any other. Celebrate a dream come true parade!!!! My first Disney Parks parade was “Pooh for President!” I would love to see the 25th Anniversary “Remember the Magic” parade featured here. I remember seeing it back in 1997 for my dad’s 50th birthday trip. Be sure to stay tuned, Mary! We have a lot of historic photos on the way for this series. I would love you to feature the parade that was active in the week before Christmas, 1999. It was my first visit to the Magic Kingdom and, thanks to the wonders of home video, I have enjoyed it many, many times over the years. The parade music is just as amazing for me today as it was then and it still brings tears of happiness to my eyes. Wonderful memories indeed! SPECTROMAGIC!!!! I miss that parade so much and I wish y’all would bring it back. I can still remember being a little kid and dancing with my Mom on the sidewalk the fist time it ran. I have enjoyed every single parade I`ve attended at the Disney Parks, but Christmas parades will always be my favorites! The Christmas parade is a ton of fun. I love the marching toy soldiers. 25th Anniversary Parade- when the castle was decorated as a big pink cake. Brings me back to my childhood! 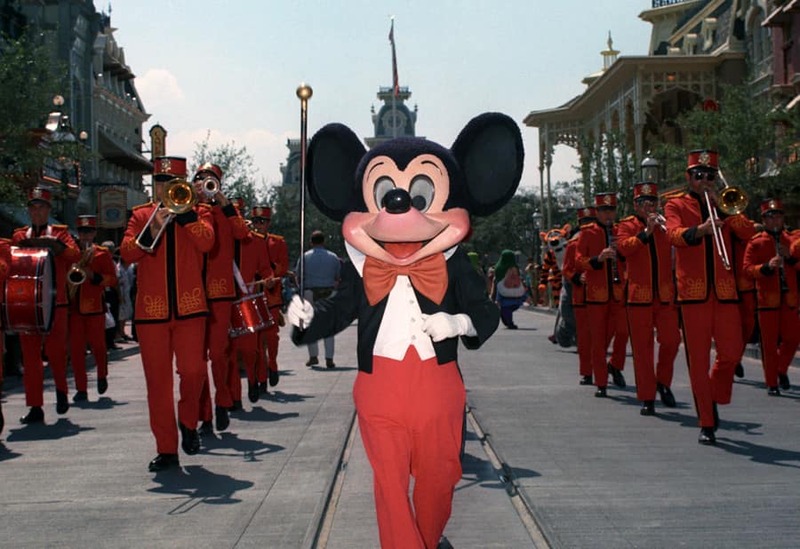 I would love to see one of the original parades with Mickey leading, the bands and the antique cars. I think it is great when we bring a little bit of history back to current day. The 1986/97 15th Anniversary parade!! Music is still stuck in my head 25 plus years later!! !